Registry List – Use the alphabetical list to register your living will after it has been completed. 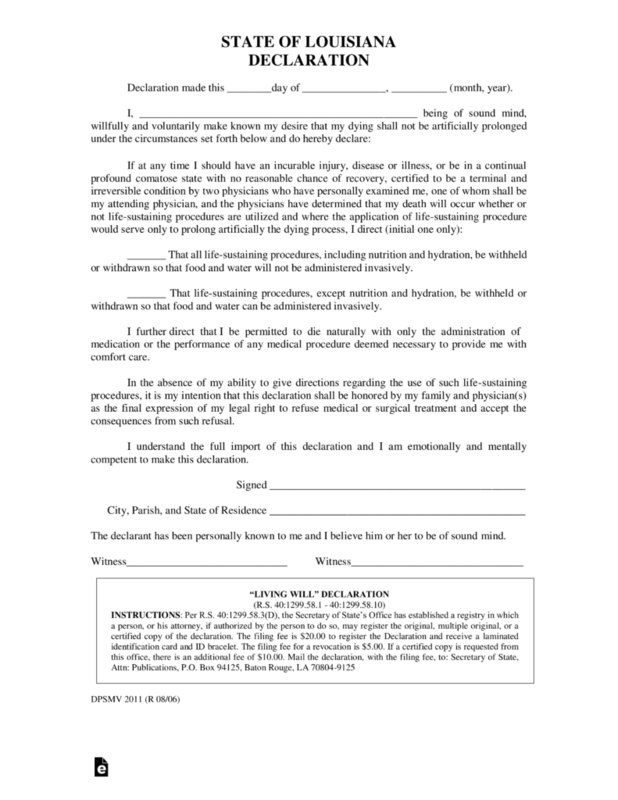 Medical Power of Attorney – Designation given by the patient to allow someone else to be able to enforce health-related wishes in the principal’s best interest. Step 2 – Declarant/Principal End of Life Selections – The Declarant must review the next section in the document. Once reviewed, select by initialing the line preceding your selected manner of the end of life treatment. 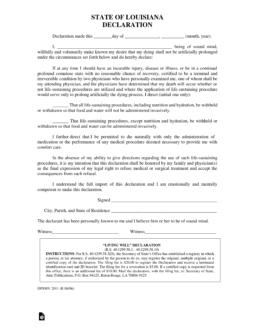 Step 3 – Witnesses – This document will require the signatures of two witnesses – Read the sentence for the witnesses.